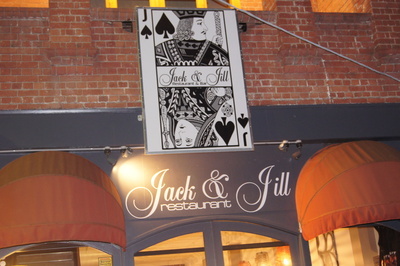 Jack and Jill went up the hill to get a pail of water but decided to start a restaurant instead. And there has been no falling down on this venture. This doozy little concept restaurant is in an historic building and nestled on a hill in the centre of Geelong. 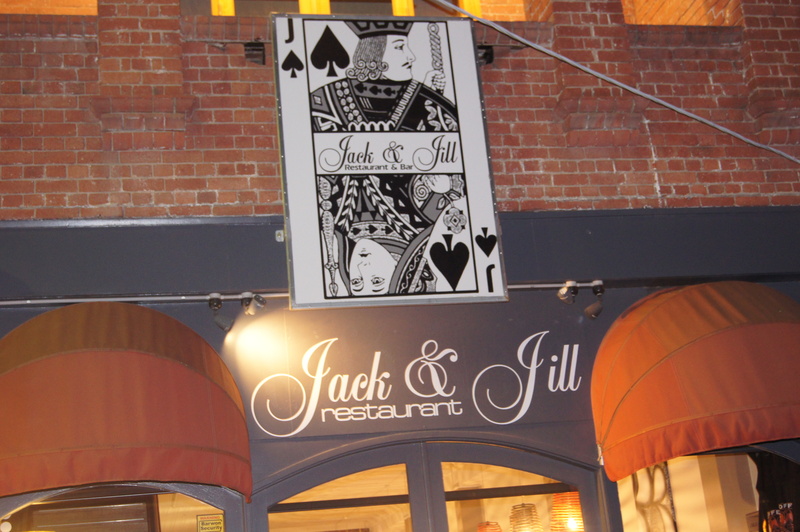 The Jack and Jill in question are the chef Leonie Mills and co-owner and husband Damien. The concept is a clever one. They don't serve huge burdensome meals that you struggle to get through. Rather they offer a selection of entree-sized portions or mini-meals. These are all carefully balanced each with requisite accompaniments. A plate of three sets you back $30.50 or four for $35.50. You can then eat them all by yourself or share them as my party did. Two plates of three (that is 6 of the little dishes), plus one side was plenty enough for the three of us remembering that each dish is replete in itself. 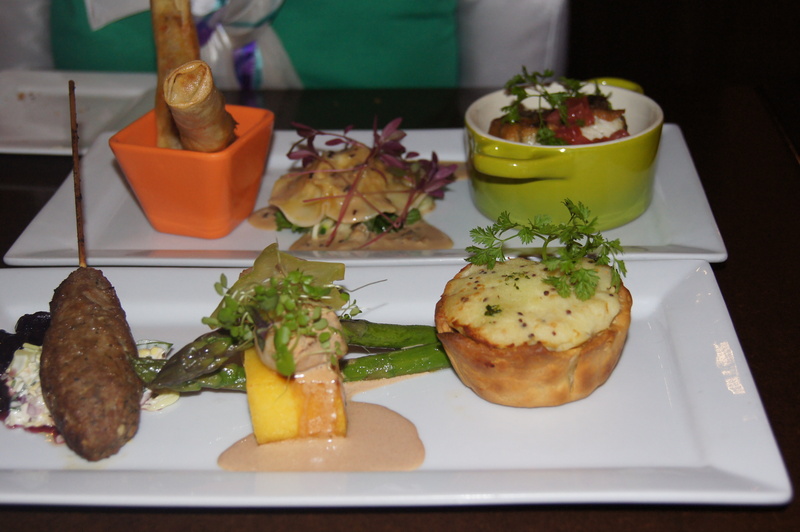 Our choices included a pickled silverside, celery and corn pie with a seeded mustard potato floater. This was a dainty tasty round morsel and nothing like its namesake - the ugly floaters of Adelaide origin where a meat pie swims in pea soup. The grilled barramundi was served on angel hair pasta with baby fennel with a splash of blue swimmer crab bisque. The third in the trio was grilled scallops on truffle infused polenta with buttered asparagus, cured star fruit and local Portarlington mussel mayonnaise. On the other selection plate was curried rabbit spring rolls with lime mayonnaise, Australian bush herb lamb koftas served with home-made coleslaw and a black grape and native lemon chutney. And thirdly was a duck, chicken and pistachio nut terrine served with beetroot chutney and cassava biscuit. Our side was roasted pumpkin drizzled with honey and served with pecan nuts and hummus. This was delicious, $9.50 and served the three of us. Although we chose not to indulge, there was also a great selection of foccacia breads to share. These were set at for 2 people $12.50 or for 4 people $14.50. These included selections such as roasted pumpkin, fontina, snow pea tendril, pine nuts and port soaked raisins, while another was covered in meatballs in a rich red wine tomato sauce with melted parmigiana. After the meal two of us opted to share a dessert. 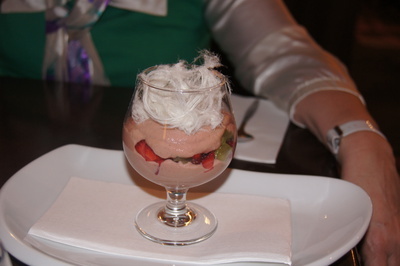 Our choice was a beetroot custard, threaded through with chopped kiwi fruit and strawberries, and decorated with what looked like trails of wispy clouds (Persian fairy floss) Tantalizingly exotic. Even though we shared this dessert, it still seemed huge. I actually wish Jack and Jill would continue "the small portions - try lots of different things theme" through to the dessert menu as well. Decor was pleasant. 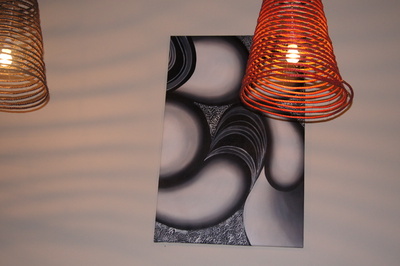 Subdued lighting and modern artwork. Apparently they have a great 1920s themed bar upstairs. But as it was a weekday night, it wasn't open. But note that statement again. Even though it was weeknight, this restaurant was packed. We hadn't booked and it was only with luck that we were able to snare the last table. A lot of the patrons seemed to be groups of middle-aged foodies, there were a few families, groups of female friends, plus dating couples. 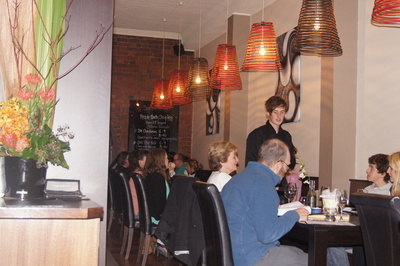 The restaurant has won lots of awards including a National Golden Plate Awards and was in The Age 2012 Good Food Guide. 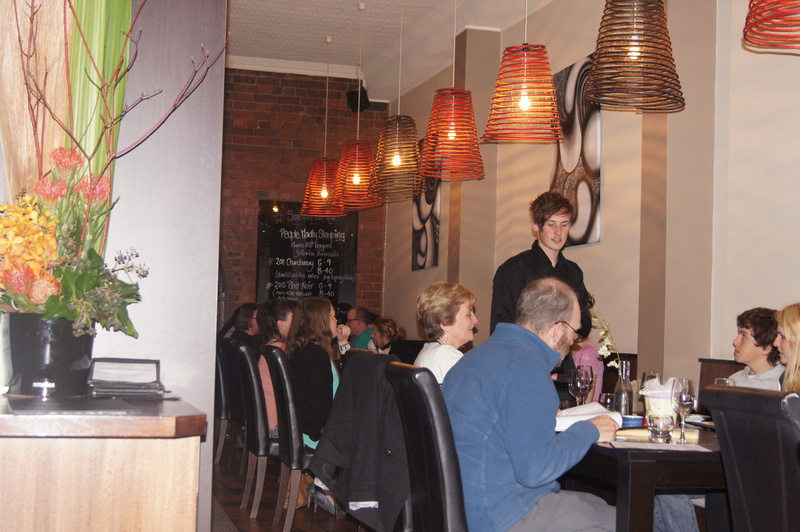 Leonie Mills has had more than 15 years experience in some of Melbourne's better known restaurants. Yet despite all the hoopla about this zany little concept restaurant, the cost of meals remains attractive. Remembering that three selections comes out at $30.50. Gosh there are times when a counter meal steak meal can cost this much. And this really is fine quality dining in a top Geelong restaurant. . There was a comprehensive wine list and huge list of over 50 boutique beers and ciders. They also have blackboard specials highlighting local vineyards. You will have fun trying this gem of a restaurant. But make sure you book in advance, even on a weeknight. Great review of a nice restaurant. I haven't been here myself but you made me hungry with your descriptions of the food you ate. Well done.